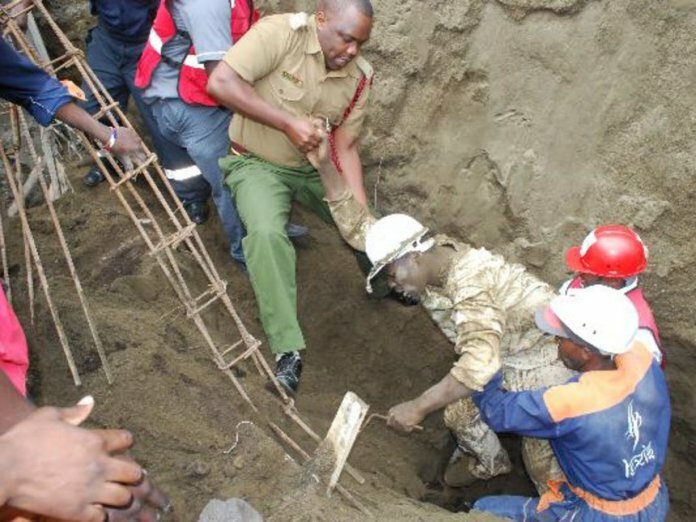 Nakuru is in the wake of yet another disaster after a building collapsed in the Central Business District along Mbugua Gichua road trapping an unknown number of people inside yesterday. Rescue efforts are underway as Red Cross confirmed having their personnel at the accident scene the same day the accident occurred. 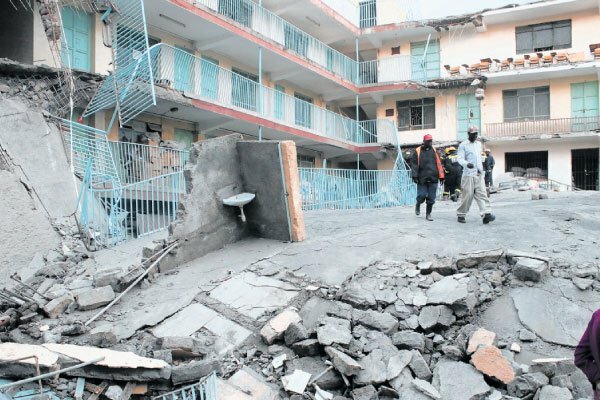 The building which had been marked for demolition was still in operation (and still under construction) oblivious of the fact that it was not safe for the public and the construction workers. Two trucks that had been packed behind the building, being used as a store, were crushed and destroyed, under the weight of debris. Owners of the building have since claimed that no one was inside the building at the time it was collapsing.